Isn’t it amazing how this year has galloped away? Or is it just me? August is past the half-way mark and I’m just reminding you of a couple of timelines. August is the month when we celebrate all things family history and there’s been plenty of events on around the country. However, you haven’t missed out as there’s still plenty to come until the end of the month. You can find a list here on the website. There’s also prizes to win for individuals and societies including annual memberships to Ancestry and My Heritage as well as DNA kits and other great prizes including certificates. You can find the prizes listed here – closing date is on 20 August so best get onto it today if you haven’t already. All you have to do is send an email to nfo@familyhistorymonth.org.au, including your name, postcode and Email address. 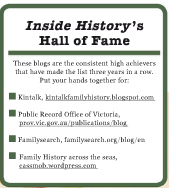 Have you visited one of your local family history societies this month? If not, why not pop in and see what they can offer you – journals, microfiche, advice and online access to pay-to-view genealogy sites. Why not make it your resolution to join a local society and meet fellow enthusiasts? I was lucky to take advantage of the Family History Discovery Day at the local Latter Day Saints chapel earlier this month. There’s always something new to learn, or be inspired by, and a chance to see your genealogy friends. Life events have taken over a bit for me in the past week or so but in between times I’ve been dedicating some time to cleaning up my genealogy database and doing further research into my McCorkindale family. There’s also been a couple of gatherings of 2nd cousins from this family so that’s been inspiring as well. What have you been doing to celebrate family history during National Family History Month? It’s also an opportunity to remind enthusiastic genealogy speakers that 31 August is the deadline for speaker submissions so put your thinking caps on and submit your proposal before the deadline. And remember there’s opportunities for rural delegates to apply for funding to attend. The Conference is being held at the newly renamed Venue 114, formerly the Lake Kawana Community Centre – same place, different name. Dates: 24 – 26 May 2019. Join us – it’s going to be great fun! After all the anticipation and excitement, #Congress_2018 has come and gone in a flash. There was certainly a buzz around Sydney’s International Convention Centre as a record number of genealogists came together to learn, meet new genimates, and have fun. Amidst the whirl it’s sometimes difficult to appreciate just what you’ve learned until you take time out for reflection. This post will be about the social scene and then I’ll get a bit “meaty and dependable” to quote my geminate GeniAus. Jill Ball aka GeniAus and Brenda Wheeler and the bears at SAG. We started Congress unofficially on Thursday at the Society of Australian Genealogists where we registered and joined the group of mates already busy chatting and comparing notes. Everyone just about had to be thrown out when “time” was called at 5pm. A gentle stroll to Circular Quay presented us with a view of the gi-mungous Ovation of the Seas. Our ferry ride round to Pyrmont reminded us of the Congress theme “Bridging the Past and the Future” and also gave me an opportunity to take a photo of the replica Endeavour sailing ship that is actually 100 tons bigger than the Florentia on which I believe my ancestor, Mary O’Brien emigrated. Friday was registration day and the first day of Congress lectures. I was kept busy handing out the “First Time Attendees” ribbons (kindly donated by GeniAus) to the newbies at Congress as well my “Kiva Genealogists for Families”, Queenslander and “Blogging Down Under” ribbons. Mr Cassmob waylaid anyone who showed an interest in Genies for Families and provided them with a flyer about this group activity initiated by Queensland genealogist Judy Webster and Lilian provided others. 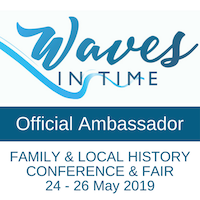 Fran aka the Travel Genee shared some ribbons she’d liberated at Roots Tech as well as promotional ribbons for the Waves in Time Conference on the Sunshine Coast in May 2019 . All that ribbon activity left some people mystified, and others with a severe dose of ribbon envy. Will you be coming to our Queensland conference in 2019? Friday lunch was an informal gathering of random genies in the Harbourside Food Court. Dinner was a birthday celebration with our friend and fellow genimate from Darwin and we enjoyed having a few days to chat instead of an hour or so every six months. Unfortunately, I couldn’t attend a couple of other activities, including the Newbies Welcome. My genimates Sharn, Maureen, Jill, Chez and Fran were among the “stayers” at the end of the Congress dinner. Saturday lunch was time out for me after my first presentation, Uncovering your Irish ancestors, and questions after the session. Saturday night was, of course, the Congress dinner at Rydges. We successfully negotiated the Light Rail so were pleased with ourselves. Our dinner table included some genimates, “old” and new and there was no shortage of chatter. Sadly, our construction abilities, and commitment, were lacking despite the efforts of a small team on the table. Once again, “time” had to be called before our group left the hotel. Sydney turned on magnificent weather for Congress, and “cried” on the Tuesday as we all said our farewells. By Sunday, the energy levels were fading a bit for those of us who aren’t natural extroverts (nothing at all to do with the previous night’s wine intake!). At lunch time I was pleased to have been able to coordinate the meeting of my O’Brien cousin with her Fisher (paternal line) cousin. Nora has been invaluable in helping me with oral history and photos so it was great to have a chance for a catch-up and connect her to another line. 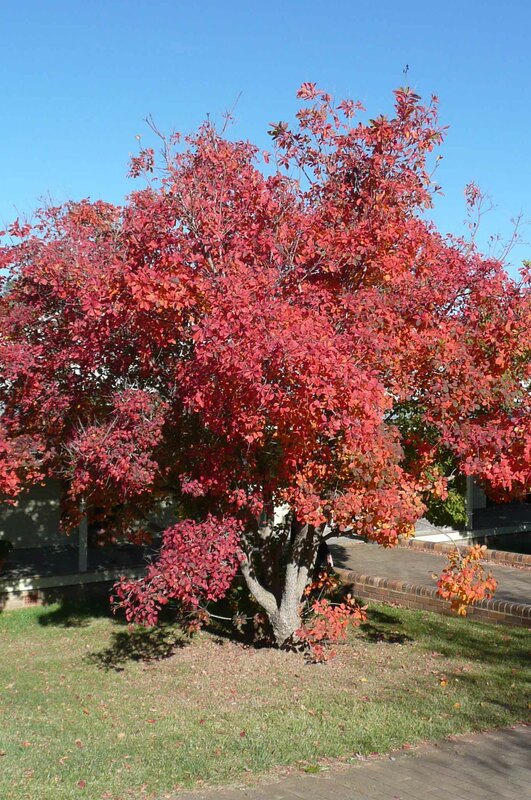 Queenslander genealogists – thanks Sharn for the photo. Monday was photo shoots for various groups and I was sorry to miss the Bloggers photo as I had been chairing the previous session. I managed to get into at least one of the Queensland group. Some of the Down Under Geneabloggers – thanks Lilian for the photo. And then, in the blink of an eye, it was all over. The organisers thanked, friends farewelled, and the group dispersed – until another time. A huge thanks to Martyn, Heather, Danielle, Mel and all the volunteers for their hard work in making this Congress a success: it takes huge commitment to pull off a success like #Congress_2018. It’s finally here – the event Down Under Genies have been excitedly anticipating – the AFFHO Congress 2018. And it’s going to be huge with 600 attendees – the largest ever held. I guess that reflects the pulling power of Sydney and the growth of our obsession hobby. This will be my 5th Congress (Brisbane ’94, Melbourne ’03, Darwin ’06, Canberra ’15) and I’m looking forward to seeing my many genimates whom I’ve come to know in the online world and in person. There’s often years between catch-ups but it always feels like old mates meeting again. Around half of the attendees will be newbies to Congress so we “old-timers” will need to make them welcome, introduce them to mates, and generally help them to enjoy Congress as much as we do. GeniAus has done a fantastic job keeping everyone in the loop with the Facebook group, Genimates @ #Congress_2018. It’s also been helpful for those who are unfamiliar with Sydney. 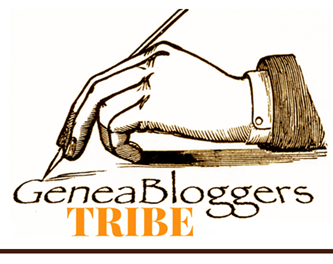 GeniAus and Alona from Lone Tester blog are providing blogger beads for the Geneabloggers Tribe members. I will have “Blogging Down Under” ribbons as well as “Kiva Genealogists for Families” for those who are members of those groups. I aim to be at the reception desk at the International Convention Centre at opening time to hand out ribbons and chat to people. Our overseas visitors have been flying in over the past days, and some have been visiting our Aussie wildlife, to the envy of their American mates. Like other speakers I have long since submitted handouts (available from 7th March) and my slide presentation. I have my speaking notes prepared as well, so now I’m in full Irish mode: my two talks are Uncovering Your Irish Roots and Parallel Lives: Irish Kin Down Under and Abroad. I am super-excited that I’ll have two sessions to learn from my genea-heroes Richard Reid, Perry McIntyre and Liz Rushen! Other Irish researchers will have the chance to hear Paul Milner on the wonderful Griffith Valuations, but I’ll be hanging out with my genimate Shelley Crawford who’s talking about Visualising DNA Matches. I’m sure DNA is going to be a hot topic at Congress given how keen people are about testing. I’ve got my Congress kit ready: Whitelines notebook (thanks Shelley for the tip), Genealogists for Families flyers, Opal card, USB memory stick, blogger beads, conference ribbons to share, pencils, multi-coloured pens, my own notes, contact cards, and my promotional bag for the Waves in Time Conference to be held on the Sunshine Coast 24-26 May 2019. I suppose it’s time to sort out my clothes for the trip and hope the weather doesn’t play havoc with my wardrobe planning. Look forward to seeing you there! And if you can’t make it, remember there’ll be lots of chatter on Twitter using #Congress_2018. Will you be going to Canberra? I was excited to see the other day that the program for the 2015 Australasian Congress of Genealogy and Heraldry has been released. I already knew that my proposals for presentations had been accepted, but the cat is now officially out of the bag. The marriage of local and family history: a bridge to the past. Use the combined skills of local and family history to draw past communities from the shadows. From Dorfprozelten to Australia: how social media reunited the emigrants’ descendants across time. From cousin bait to match making: blogging isn’t just self-indulgence. 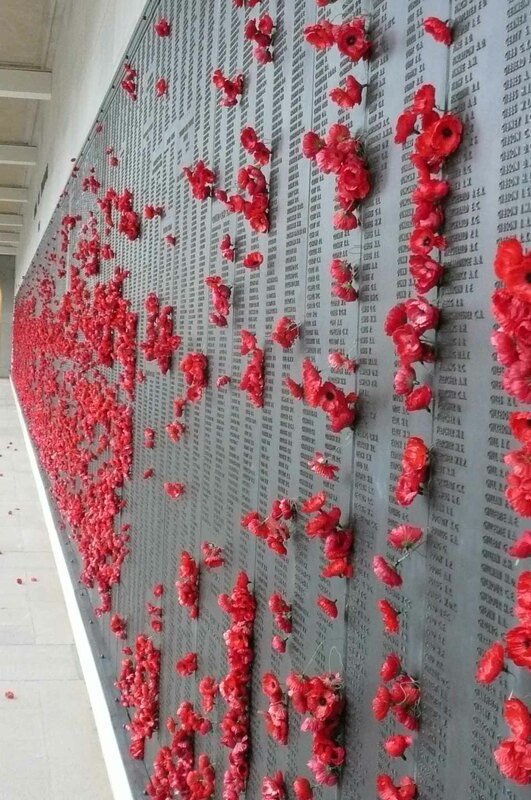 One of the memorial walls at the Australian War Memorial. It’s exciting to see all the topics, and even more so, the presenters. My geneabuddies, Helen Smith, Kerry Farmer, Shauna Hicks and Carole Riley are among the speakers with topics ranging from migration schemes to land records. I’m also really looking forwarding to hear talks by Richard Reid, Perry McIntyre and Cheryl Mongan who are mates from Shamrock in the Bush conferences and Irish history gurus, and in Richard’s case also military experts.The icing on the cake is a bunch of speakers who I’ve never yet had the chance to hear present. What a treat it will all be! I do hope I get to meet some more of my virtual friends in the nation’s capital, Canberra, between 26 and 30 March 2015. Just think of all the temptations – Congress, the Australian War Memorial, the National Library, the National Archives of Australia and all the museums and galleries. Time to start drawing up a running sheet for the “to do” list. Meanwhile I’ve got some homework to do.